The US music industry is trying to chase individual "pirates"
Two colleges in the United States are challenging legal requests to hand over the names of students who have been accused of illegally downloading music. But Boston College and the Massachusetts Institute of Technology (MIT) say they are not trying to protect students. They are trying to quash the subpoenas - which mean they must hand over information by law - because they say the requests were not properly filed. The subpoenas are part of the US music industry's new strategy to chase individual "pirates". Boston College said they were given less notice than is legally required and the subpoenas broke federal law by being filed in Washington DC, more than 100 miles (160 kilometres) from where they were served, in Boston. Boston College spokesman Jack Dunn said: "Once the subpoenas are properly filed, we will comply with the subpoenas." Professor James Bruce, vice president for Information Systems at MIT, said: "We are required by federal law to disclose student information only if we have a valid subpoena and have given the necessary advance notice." The Recording Industry Association of America (RIAA), the US music industry trade body, issued the subpoenas. It is trying to identify one MIT student and three Boston College students who are suspected of illegally accessing music. The RIAA has already filed a total of 871 subpoenas, with more than 75 subpoenas granted every day, US courts said on Friday. The association has said it would go after the most active downloaders, but some subpoenas related to users who had accessed as few as five songs. 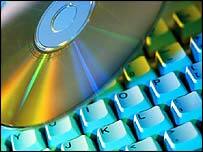 Users charged with piracy could face lawsuits for damages from $750 (£480) to $150,000 (£96,100) under US copyright law. A RIAA spokesman said the association has followed federal law and was "disappointed" that the colleges had chosen to challenge the subpoenas. Music fans are reacting with a new generation of file-sharing software to prevent monitoring. A version of "Kazaa-lite" says it can stop outside parties scanning email addresses and listing songs on individuals' hard drives.